1969 – The Husky Barbershop first opened it’s doors. The original location was on North Chalkville road, beside Braden’s Furniture, and across the street from Ma and Pa’s Cleaners and Haisten’s Drugs. 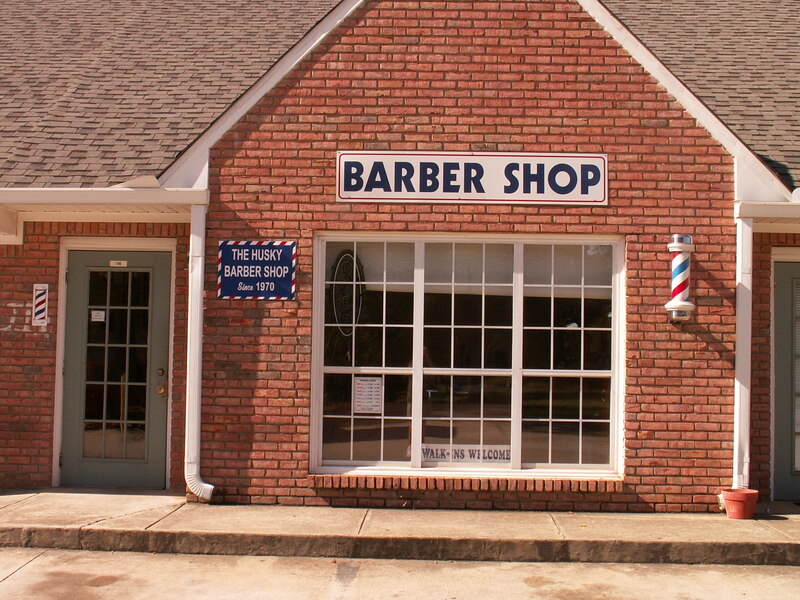 • The Husky Barbershop remained in it’s original location for 30 years, until March of 2002. with the growth of Trussville, and a marked increase in patrons in need of parking facilities, the barbershop moved to it’s current location at 7018 Gadsden Highway. • The Husky Barbershop has seen many changes in the Trussville area, and is grateful for the business, friendship, and support of the many people who have made it possible. We look forward to serving the Trussville area residents for many years to come.